To shop our medical supply store website, please visit www.mvmsinc.com. 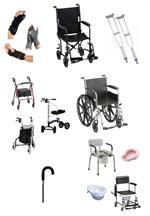 We have been in the medical supply business for over 20 years and are family owned and operated. We service Arvada and the Denver metro area in Colorado, plus ship nationwide in the continental United States. Our mission is to offer a wide selection of brand name medical supplies at consistently low prices with superior customer service. Call 303-455-1300 or 800-873-7121 for more information.